There are many nice routes at Suesca just an hour north of Bogota. 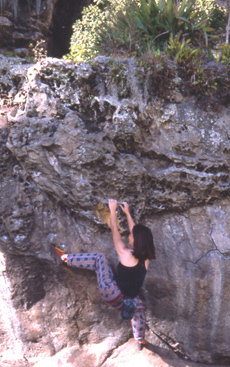 Much of it is bolted and there is a good climbing and bouldering 'scene'. It's a lovely idyllic rural spot with camping as well and the weather in January is great! 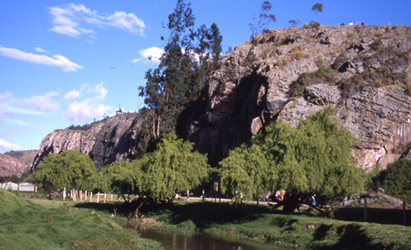 This is about as similar as Colombia gets to Arapiles in Australia! 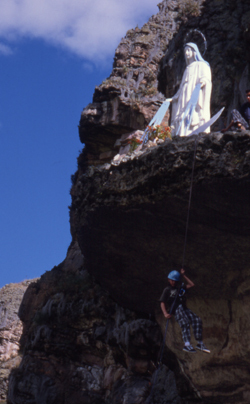 This guy really was abseiling of that statue of the Virgin Mary. Jesus! A tough climbing challenge in the Colombian mountains is the Pulpito del Diablo in the Sierra Nevada del Cocuy. 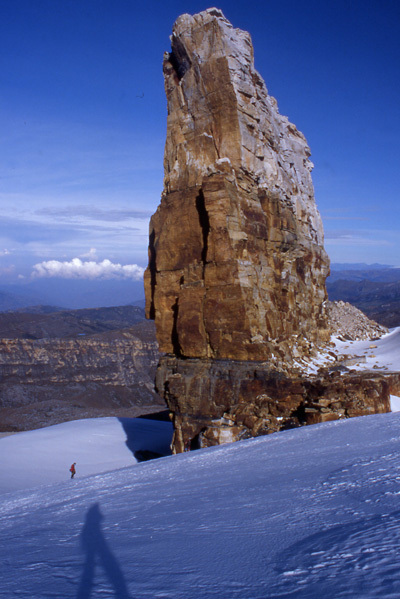 It's a bizarre 60-70m high pinnacle on the slopes of the Pan de Acucar peak, with the summit at just under 5000m. 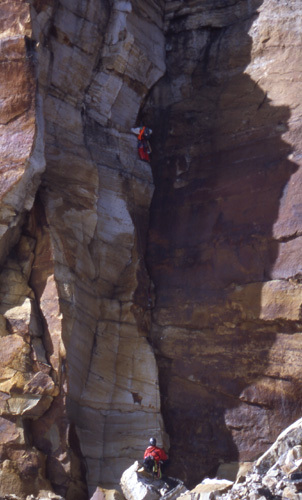 The 'normal' route is a two or three pitch climb up a crack system in near the north end of the east face. It's about 5.6 or 5.7 in grade, but at nearly 5000m it will feel harder. 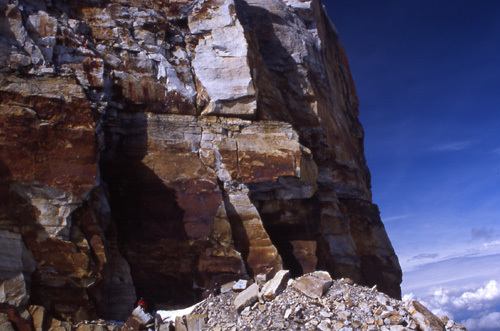 The pictures below show Colombian climber Leo on the crux of the first pitch.